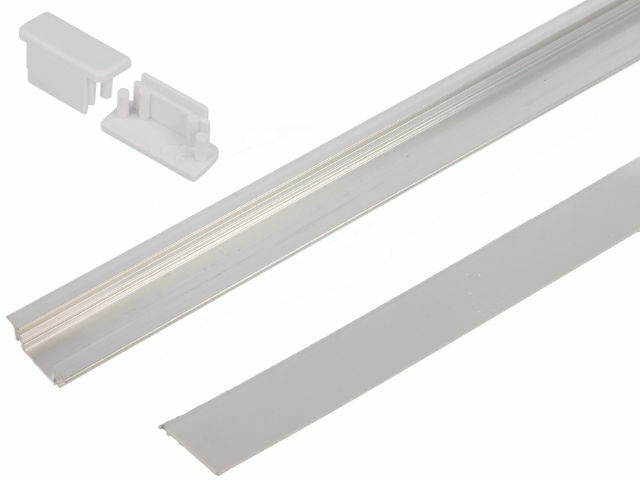 Now, in TME’s offer you will find profiles for LED strips and modules from TOPMET company. they allow different ways of mounting: surface mount (e.g. on the surface of cupboards or work tops), flush mount (e.g. in stair treads), and angled mounting (in the corners). In TME’s offer you will find the most popular profile series: CABI12, CORNER10, CORNER14, DEEP10, GROOVE10, GROOVE14, SLIM8, SMART10, SURFACE10, SURFACE14, TRIO10, UNI12, as well as accessories: caps, mounting couplers, and holders. Check out TOPMET products available in TME’s offer.